Tripura on Friday witnessed synchronized protests by teachers who are on the verge of losing their jobs by December 31. 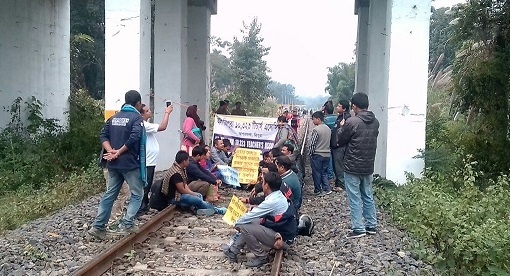 A section of agitating teachers blocked rail movement at Manu while several other groups resorted to road blockade to air their grievances. Following the expiry of their 48-hour ultimatum to the government, a section of agitating teachers, majority of whom were women, tried to forcibly enter the secretariat on Thursday to meet the Chief Minister for redressing the balance. However, a large contingent of security personnel deployed there prevented the agitating teachers from entering the secretariat which resulted in minor scuffle between the teachers and the security force. 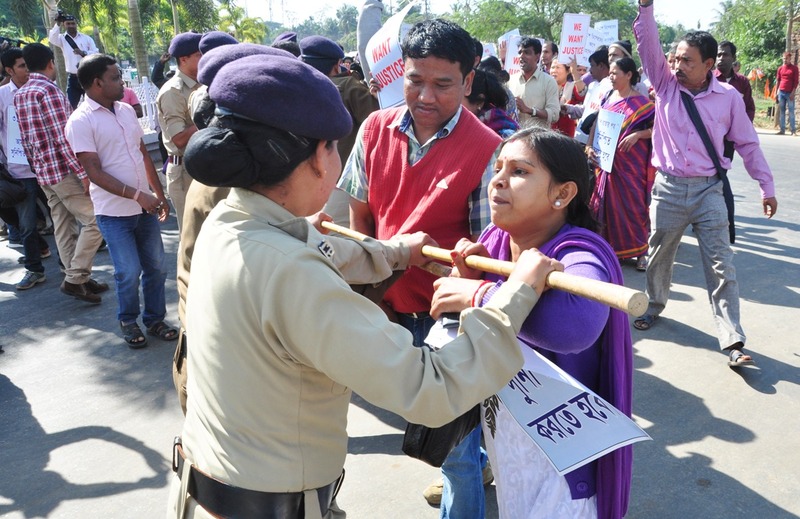 Later the teachers had blocked the main gate of the secretariat complex and started a sit-in-demonstration protest. Senior police official including IG Law and Order K V Srijesh rushed to the spot and made futile attempt to convince the agitating teachers. Later the state education minister Tapan Chakraborty met the agitating teachers and promised to look in to the matter. According to the agitating teachers till date eleven of their colleagues have died due to tension while few others have become psychiatric patients. On May 7 this year, the Supreme Court upheld a judgment of the High Court of Tripura to cancel the appointment of the teachers because of faulty recruitment process. More than 10323 school teachers are going to lose their job by the end of this month and this might not only hamper the education system in Communist ruled Tripura but also cast a shadow on the coming assembly poll in the state likely to take place by February 2018.